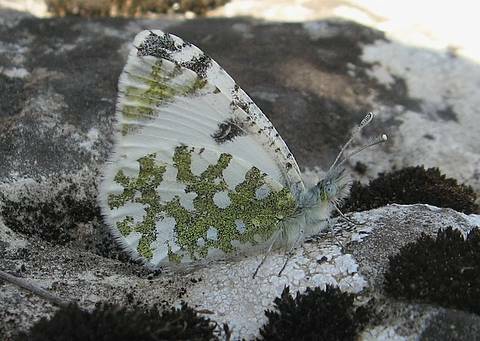 This is a rather uncommon butterfly limited essentially to parts of Spain and south-east France where at the northern limit of its distribution it exists in local colonies along the Rhône valley in the Ain (01). 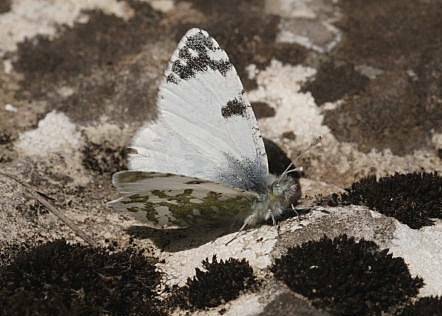 It resembles rather the Dappled White (Euchloe crameri) which is likely to be encountered in the same habitat. 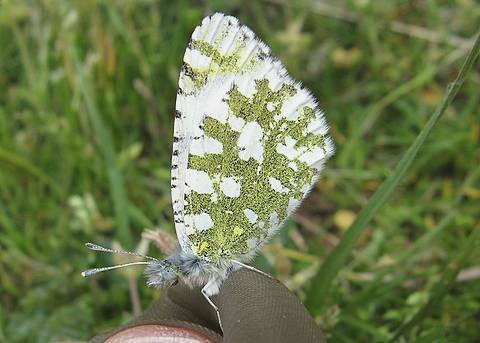 E.tagis is, however, a rather smaller and 'neater' butterfly with a somewhat gentler (not slow) flight. The best feature for identifying it is the basically uniformly rounded edge to the costa of the hindwing which is particularly visible when the butterfly is at rest with the wings closed as above. E.crameri usually has an angled costa with a flat apex. 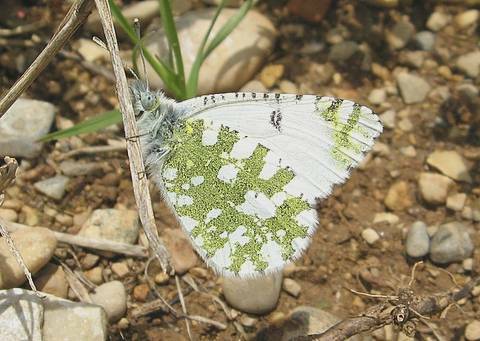 Whilst locating E.tagis is always likely to pose a challenge it should be possible to spot an abundance of the larval food plant, crucifers of the genus Iberis, when they are in flower on the breeding grounds in the spring.